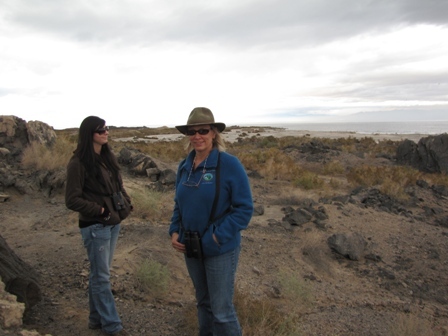 My firend Mary came down from Northern California with her friend Kerry for a few days of birding and exploring. 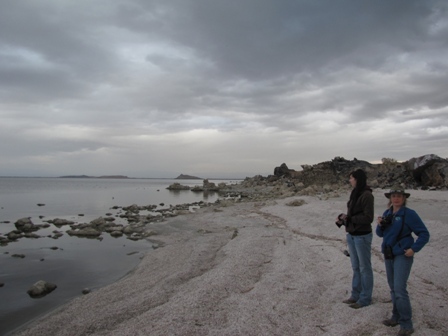 On Tuesday, December 18 we did the Salton Sea (south end) Christmas Bird Count (CBC). 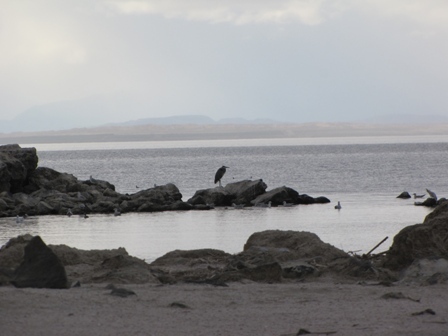 This year marks the 113th annual Audubon CBC in North America. 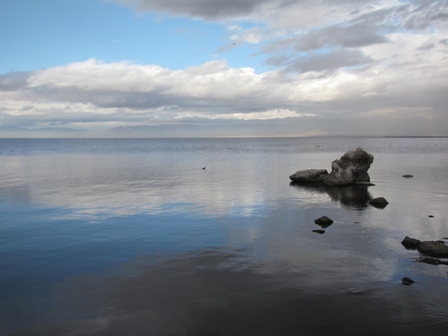 The Salton Sea (south end) CBC was first conducted in 1965 (count year 66) with a few years missing and then evey year since 1979. A 15 mile diameter circle is laid out for each count and participants fan out to count every bird seen or heard within the boundaries of that circle. Guy McCaskie was the compiler for many of those years and a young man by the name of Oscar Johnson is the current compiler. He mentioned that morning that we had a very fine turn out of counters for this years count. Not sure of the exact center of this circle but it is near the Sonny Bono Salton Sea NWR (SBSSNWR) headquarters at Sinclair and Gentry Roads. 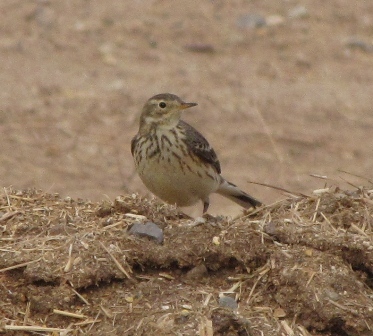 Have not seen the official count numbers for this year but the last number I saw was 154 species. The portion of the circle that Mary, Kerry and I did, covers the area east and south from the intersection of Rueger and and Brandt Roads, to the outside of the circle. This takes in most of Ramer Lake, Young Reservoir and a portion of the New River. A few notable birds, of the 77 species recorded in our portion, were Red-Shouldered Hawk, Mountain Plover and two Snow Geese. 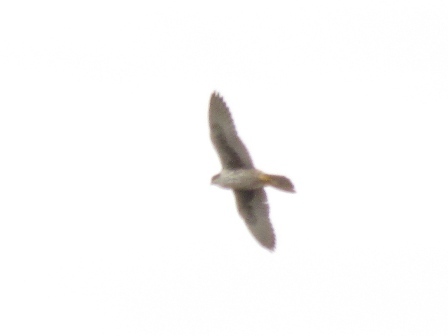 The Red-shouldered Hawk was seen inside the compound at Ramer Lake and the geese were on the lake. 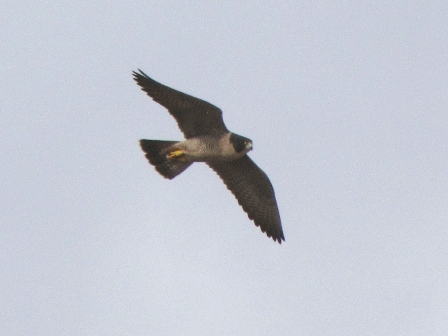 This Peregrine Falcon gave us fine looks as it swooped past us twice. 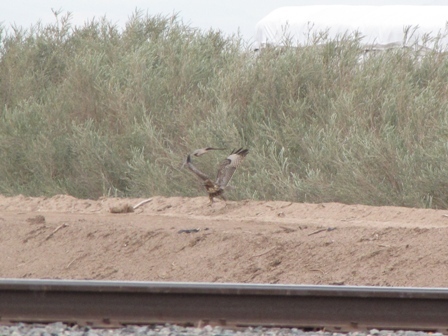 A very exciting moment was when a Prairie Falcon came by harassing an immature Red-tailed Hawk. 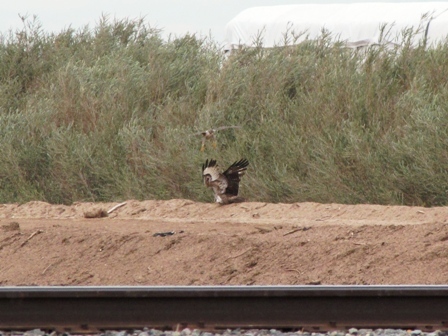 The Prairie Falcon kept diving at the hawk till it finally landed on the ground near Kershaw and Albright Roads and then proceeded to dive at it at least another 15-20 times! I focused the camera on the Red-tailed Hawk, and with the help of the girls calling out the timing, and the fact the the hawk would duck just before the falcon arrived, I was able to get a few interesting photos of the confrontation! 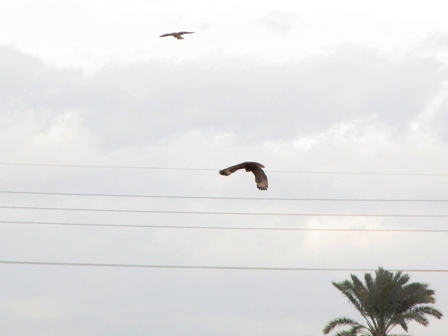 The falcon continued to dive at the hawk when it took to the air and headed west! 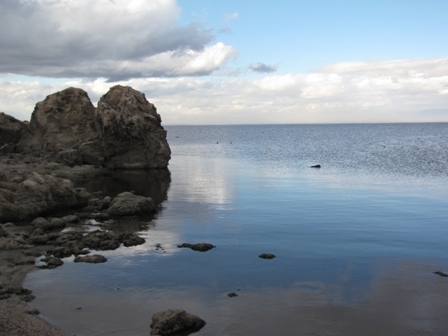 Kershaw Road has a high wintering sparrow population and Young Reservoir was loaded with birds. 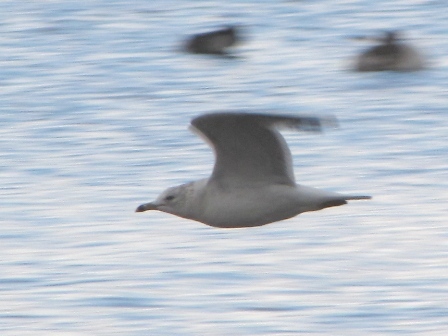 A Mew Gull was seen among the 6,000 plus Ring-billed Gull on the reservoir about an hour after we were there. We then moved across Hwy 111 to Jacobson Road. It is just at the start of the curve of Hwy 111, south of the Twin Rivers Rest Area. If you go west on Jacobson it immediatlely turns north and becomes Mellin Road. Following this north, along the edge of the agriculture and that portion of the Imperial Wildlife Area up to Rueger Road, is great habitat. We typically find Sage Sparrow and bluebirds along this stretch but not this year. 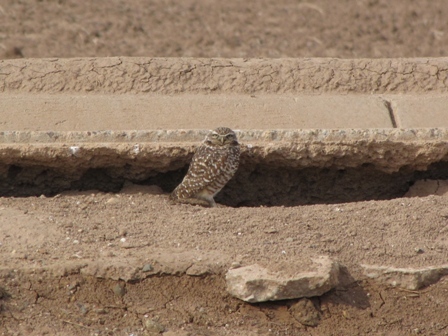 We did however have over 300 Killdeer, hundreds of American Pipit, five Mountain Plover and several Burrowing Owl in the first field northwest of Mellin Road. The middle part of Mellin Road is great for Phainopepla, Black-tailed Gnatcatcher and Loggerhead Shrike. There is very dark morph Red-tailed Hawk in the area where Ruegger Road crosses the Alamo River and it has been wintering in that spot for four or five years now. We birded the agriculture area over to the New River and Brandt Road and then made it back to the SBSSNWR headquarters at 1pm for the reading of the checklist which is always a lot of fun. The oohs and ahhs of what was seen and what still needs to be looked for are fun but the exciting part is when Oscar asks if anyting NOT on the list was seen! Far and away the best birds this year were two CAVE SWALLOWS seen and photographed Near Garst Road and the Alamo River by Adam Searcy and his group. Typically everyone would go out to see the rarities of the day but swallows on the move are not often refound. 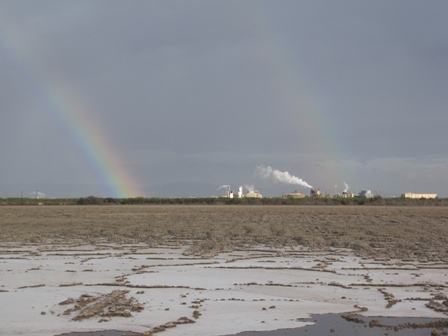 Kerry had never seen the Salton Sea before so we headed off to Obsidian Butte under light showers, great light and several fine rainbows! Mary happens to be the compiller of the Chico CBC which they held a few days before she headed south to play in her beloved desert! We then beat it back into Brawley to gather supplies and camping gear then headed for the deserts of eastern Imperial County. The sun dropped beneath the dark clud cover as we were leaving town and the light was spectacular! 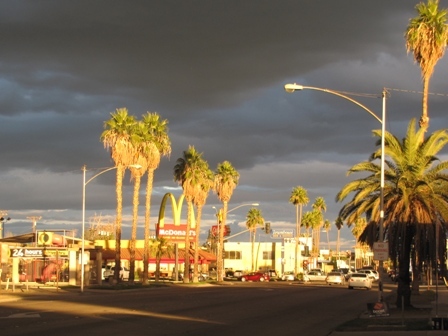 This picture is looking east on Main Street of Brawley, from Western Avenue, as we topped off the gas tank at 7-11. We headed east across the Algodones Dunes as the sun set. 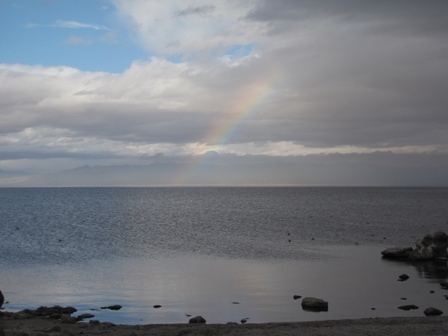 The tail end of the storm was moving that way with us and stormy weather in the desert is pefect weather in my book!